In the early days, when my children were still wee and cute (and they still are cute by the way but not so wee) we were very lucky when it came to feeding them, insofar that they would eat pretty much anything that was put in front of them. 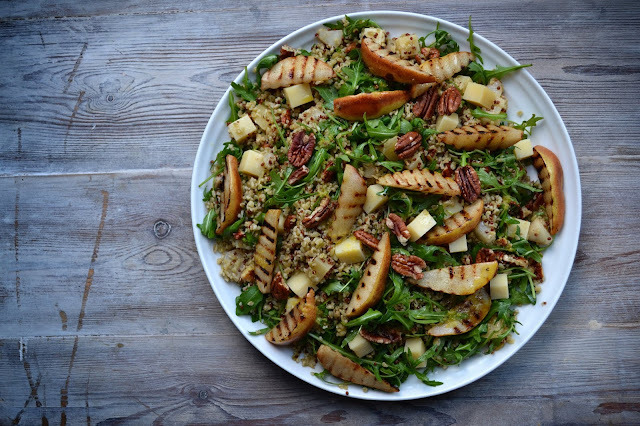 For a lot of parents however, mealtimes can be a veritable minefield and I have heard horror stories where dinner simply becomes a battleground, littered with tantrums and unwanted vegetables, half-chewed and expunged violently onto plates. Reports of stains on walls and ceilings in the kitchen were fairly commonplace too and fully recognised as acts of defiance and refusal. Some tiny jaws apparently always remained clenched and shut tight, despite the soft choo-chooing of imaginary food trains. The admission of tears would soon follow, spilt down the cheeks of Mums and Dads who finally broke down, smashed to pieces by an unrelenting wave of stubbornness and true grit. Such is the power of the child that simply won't eat their greens. However, I must admit, I'm starting to worry that this early one-upmanship is beginning to backfire on me. My insufferable food snobbery has now passed down the family line and as they grow older, even when rustling up the most simple of meals, the expectation is quite high. Take the other morning, on the way to school, my daughter piped up from the back seat and asked what was on the menu for that evening. So I countered with "Er, fish and chips sound good?" Straight away Fin fired back with "That's boring Daddy, I thought you were a GB Chef." The assumption being that because I often talk in the house about writing and testing recipes for Great British Chefs, I must therefore be a proper chef or something. Which couldn't be further from the truth. Passionate epicurean oik is probably a better description. And I did. 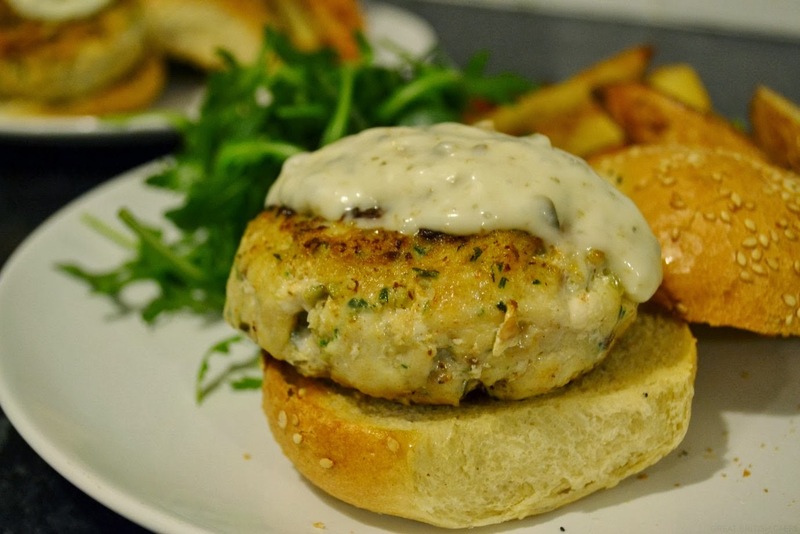 By the curious and divine intervention of looking through Tom Kerridge's'Proper Pub Food', I came up with the notion of making some fish burgers. 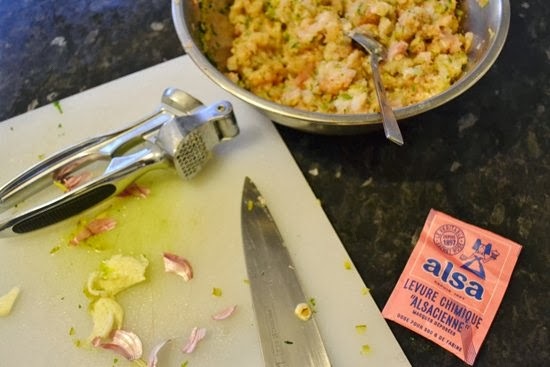 Now OK, the recipe that follows is certainly similar to the one that appears in Mr Kerridge's book but I don't really subscribe to the notion of salting fish to draw out extra moisture, especially if you are throwing mackerel into the mix. In the past, I have found that there is more than enough oil in this lovely cheap fish to help bind things together. I am in agreement with slipping a teaspoon of bicarbonate of soda into the mix though, to lighten the overall texture of the patty. Vietnamese cook and food writer Uyen Luu taught me that trick. And you know what? I think he is right. Ha, what a precocious little chap my boy is. I am surprised he didn't start whining about the fact the accompanying tartar sauce came from a jar and wasn't home made as well! Using a large sharp knife, chop both the cod and mackerel fillets into a fine dice and mix together in a bowl. Try not to go overboard with the chopping, you don’t want to turn the fish into mush but don’t want the dice to be too large either, otherwise it won’t bind. Add the garlic, bicarbonate of soda, paprika, parsley and lime, along with a touch of seasoning and mix in some more. Divide the mix equally and shape into round patties (or into two large-ish patties and two small-ish patties). Place on a plate and cover with cling film and leave to chill in the fridge for an hour. When ready to cook, place a frying pan on the hob and heat some oil over a medium heat. 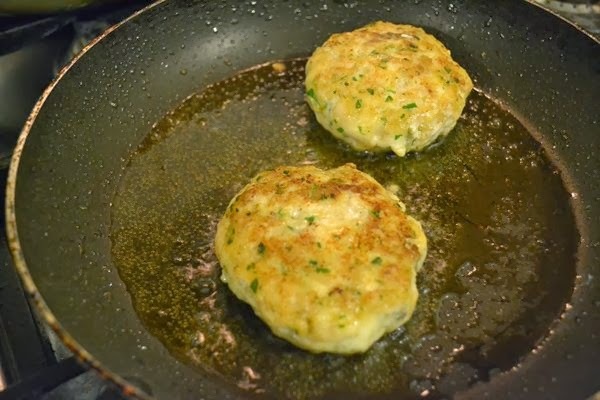 Place the patties into the pan and gently fry for about 2-3 minutes on each side, depending on thickness. 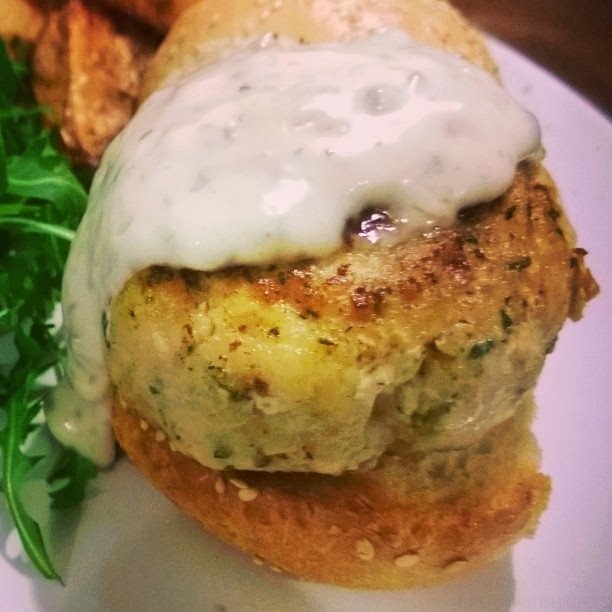 Serve on a toasted bun with a healthy dollop of tartar sauce. From my smug position as a childfree person, I think your willingness to eat stuff has to rub off on the kids. The kids I know who eat happily have parents who do too. The really fussy kids I know have parents who fuss about food. Obviously there are exceptions.